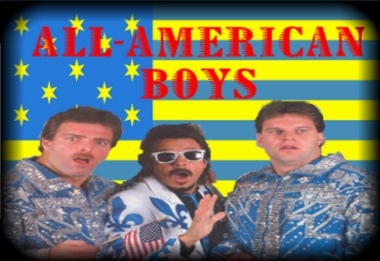 I am not completely sure if we as a forum have ever debated or discussed what we think the best match from an American Wrestling Company is of all time. First some ground rules (my thread, my rules). By American Company, I mean no match from any company based outside the US (but non American wrestlers who worked for American companies are). WWF, WWE, NXT, OVW, WCW, NWA, ECW, ROH, CZW etc. are all fair game. It has to be a great wrestling match, not just because of the crowd making it great (Hogan/Rock WM18), or because of the historical significance (Hogan/Andre WMIII), or because of amazing spots (Taker/Mankind KOTR '98). The key word is wrestling, wich incorpoates storytelling as well. Last edited by Powder; 1 Week Ago at 02:50 PM. Worth throwing that famous 3way, Styles/Joe/Daniels, from Unbreakable '05 in the mix. Oh, Owen vs. Bret from WMX has to be in the conversation! As well as Punk/Cena MITB '11 and Benoit/HHH/HBK from WMXX. This was the one that I first thought of. And that was the second! I absolutely LOVE this match and I can rewatch it at any time, but it is a good 'wrestling" match? The crowd was HOT, and the story for the match was one of the best of all time, seriously. Punk cutting the Pipebomb, rising to main event level, challenging Cena and then "leaving with the title" b/c his contract was up, and Cena preventing Johnny Ace from ringing the bell. Brilliant storytelling. But was the actual match better than other matches listed? I'm not sore sure. I think that Punk/Cena and Rock/Hogan are probably the 2 best matches of all time with storytelling coupled with a HOT crowd of all time, but Rock/Hogan was not great wrestling, and as I stated I'm not so sure that the wrestling between Cena and Punk was as good as other matches mentioned in the thread. I think you're wandering into highly subjective territory there, powder. If the key word is wrestling, incorporating storytelling, I think it's a match that belongs in the conversation with any, and it had one of the hottest crowds ever as a bonus. So what is it lacking? It holds up for me every time I rewatch it. But is the wrestling between Cena and Punk better than HBK vs Taker? Or Macho vs Steamboat etc? I do not think so. It has to be a great wrestling match, not just because of the crowd making it great (Hogan/Rock WM18), or because of the historical significance (Hogan/Andre WMIII), or because of amazing spots (Taker/Mankind KOTR '98). The key word is wrestling, which incorporates storytelling as well. So I stand by my assessment, that Punk/Cena is one of the best matches of all time (could be in the top 3 of all time b/c it has good wrestling, an amazing crowd, probably the best storyline associated ever with the match, but not in the top wrestling matches. To my point, the WWE Title match between RVD and Cena at One Night Stand had an amazing crowd, but it was not a great wrestling match, but it had a top 5 HOT crowd of all time. Last edited by Powder; 1 Week Ago at 10:46 AM. So what then exactly makes "great" wrestling? Did they need to do more moves? Is it about technique or crispness? Is there a specific element of striking or high flying? More kickouts? More finishers? What specifically is a match like Punk/Cena missing that would disqualify it? So what then exactly makes "great" wrestling? The illusion, the flow, making it feel natural, so that your set pieces don't look like set pieces, and so that you don't ever look like you are working together. That said, while it's an easy answer for me, if you don't subscribe to my view of things I'll agree with you it becomes incredibly nebulous. I'd also have to revisit the match under discussion to see if it passes or fails by my criteria. And that's the point of the question. But Mizzie, I do not think the match is missing anything, per-say, but we all know what we get from Cena. Yes he is a much better wrestler than he is given credit for, but he is what he is. Punk was an outstanding wrestler by contrast. Just look to WM35, Bryan made Kofi look like a million bucks. That match had a great story, a heavily invested crowd (not HOT), and that match was better than Punk/Cena, but the overall product of Punk/Cena is light years ahead of Kofi/Bryan. Which is why I say that Punk/Cena is a top 5 match of all time because of everything involved, but from a wrestling, a pure wrestling standpoint, it is not as good. That does not discount from the match, but just not as good. My idea of "the best wrestling match of all time" is very different than the "best match of all time"
All 4 of those had a much bigger impact on the business and made lasting impressions on people, and will live on in infamy. As much as I love the Malenko/Eddie match from ECW that I listed, that match is not memorable to the non-smartmark/nerds like us, and others like it. Bret vs Owen is a great match, but it is not near the impact of the 4 listed. Last edited by Powder; 1 Week Ago at 12:33 PM. There's still no real reason why in that post, though. It's just repeating that it's not as good rather than offering something that justifies that. Does it become even harder to explain if it's not missing anything?! Cena has had all his best matches against former Indy darlings. Look no further than Summer Slam ‘13 against AmDrag. That match was ace and he looked like a million bucks. I’m also submitting that match for this thread. "I may not be able to define it, but I know it when I see it." Same could be said about the match. I may not truly be able to put into words why the match is not as good as others, but I know when watching, why the other matches are better. So just to do an RoH list and throw it out there, because there's none mentioned so far. I love how Punk/Joe 3 was billed as “no time limit” after the first two ended in draws only for the third one to end in, like, 40 minutes or something.